In its simplest form, a heatmap is a grid of cells that you color based on data. An interactive version can help you compare categories, groups, or in this example, time segments. 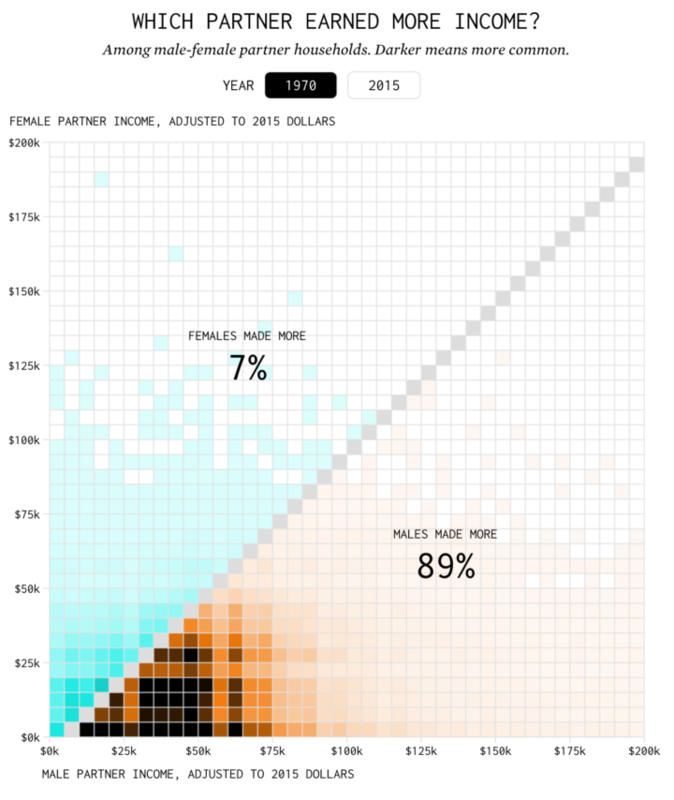 A click of the button lets you compare the distribution of income in the household in 1970 against 2015. Try it out here. In this walk-through, I’ll show you a simplified version of the interactive and describe how you can apply this to your own data.